Old Crescent travelled to Wicklow last Saturday to take of our Division table toppers Greystones RFC. We had already secured a promotion play-off spot after our superb display against Barnhall in Rosbrien the previous Saturday whereas our hosts still had much to play for, being only one point clear in pursuit of automatic promotion as Division winners. Greystones started with intent and before we had settled into the game they had scored a try out wide after only two minutes of play. The conversion was missed. We steadied the ship with a successful penalty attempt by Shane O’Brien on eight minutes. The game was evenly contested until midway through the first half, Greystones struck again with another try which they converted. They followed this up with a further converted try five minutes later to lead by 19 points to 3 after 25 minutes. With five minutes remaining in the first half, Crescent finally crossed the Greystones line when Sean Monaghan charged through the defence. 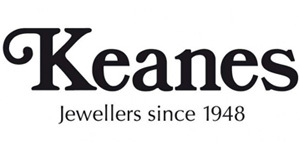 Shane O’Brien added the conversion to bring the score to Greystones 19 Old Crescent 10. The Old Crescent travelling support would have been happy to get to half time with that score but Greystones showed why they were table toppers for most of the season by striking late for two further converted tries before the half time whistle blew. Half time score, Greystones 33 Old Crescent 10. We were very unfortunate shortly after the restart when on the attack a flat pass along our back line was intercepted to give the lucky Greystones player an easy run in under the posts. They added the easy conversion to now lead us by 40 points to 10. Crescent fought hard to reduce the deficit for the remainder of the second half but we were unable to add to our tally. 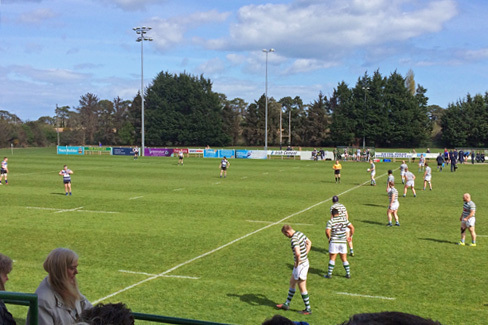 Near the end, Greystones scored an unconverted try, leaving the final score Greystones 45 Old Crescent 10. Old Crescent‘s focus now turns to our all important play off game against Sundays Well in Irish Independent Park in Cork at 2.30pm next Sunday. We call on all Old Crescent supporters to make their way to Cork next Sunday afternoon to support our senior team in this vital game. It’s many years since we were in such an important game. A supporter’s bus will be run from Rosbrien next Sunday morning leaving at 11.30am if there is sufficient interest. Please contact our Hon Secretary, Paul Donnellan, at honsec@oldcrescentrfc.com if you are interested asap. 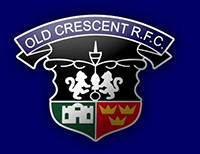 The AGM of Old Crescent RFC will be held at 8.00pm on Monday, 22nd May, in the clubhouse. The AGM will be preceded by a mass for deceased members at 7.00pm in the clubhouse. 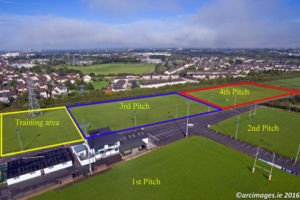 ◂ Munster Rugby Summer Camp in Old Crescent again this Summer!